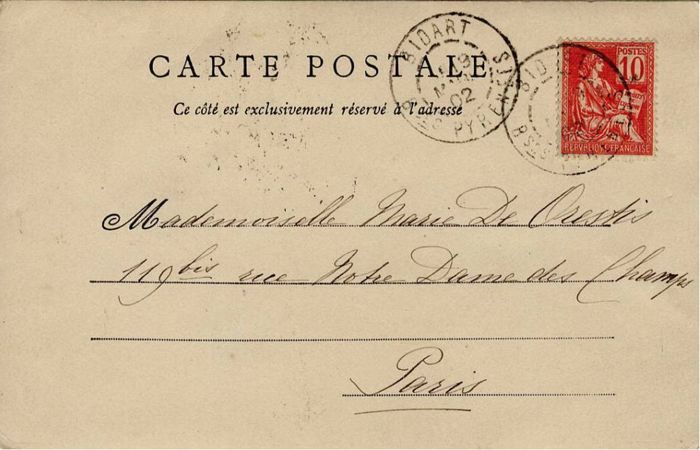 Postcard with handwritten note of Natalija Obrenovic, addressed to Mademoiselle Marie d’Orestis in Paris. 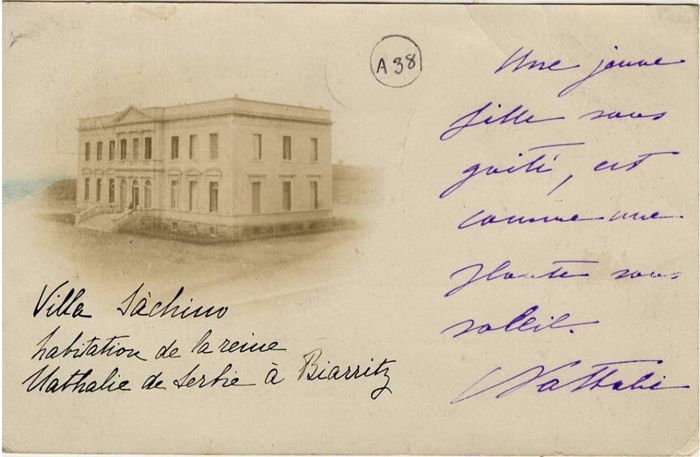 The postcard depicts Villa Sachino, the residence of Queen Nathalie in Biarritz. The manuscript part in purple ink is entirely in the Queen’s own writing. 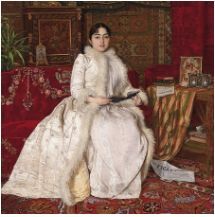 Natalija Obrenović (Florence, 15 December 1859 – Saint-Denis, 8 May 1941) was Princess consort of Serbia from 1875 to 1882 and then Queen Consort of Serbia from 1882 to 1889. She was the wife of King Milan Obrenović IV.